We are one of the best Removalists Dandenong who will provide you with every facility at one stop. 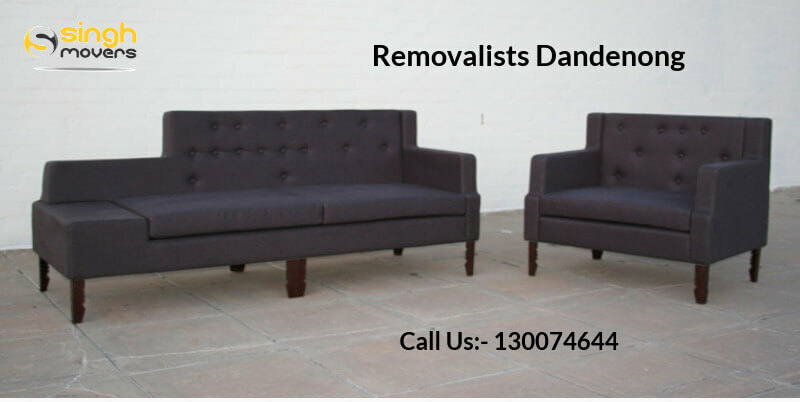 We have a wide range of removal services and endow our customers with a fit and professional team of the Furniture Removalists Dandenong. We render all of the services to almost more than 400 suburbs of Melbourne and are known as the finest Furniture Removalists Dandenong. Our professional movers are specialised in various moving services like piano removal, furniture removal, house removal, office removal, etc. Our Furniture Removals is cost-effective for keeping in mind the bulk requirement of this service from various clients. Our experts who are skilled well in this Furniture Movers art have the calibre to endow you with the optimum possible Furniture Removals service within the city of Melbourne and also to interstate move as well. Moving FURNITURE ITEMS can be stress-free and way easy with Singh Movers. When moving furniture stuff, you must hire a professional and experienced company that assure you of the safe delivery of the goods. Singh Movers have years of professional experience as Furniture Movers and provide this Furniture Moving facility undertaking proper safety measures and moving the goods safely and efficiently. The Singh Movers is a perfect platform for the shipping of any types of goods at the best rates possible for the shipments. You can create a list of what types of services you want and we will list down to you the prices of the shipments charged. Heatherton Road in the north of the suburbs, Dandenong Creek and Clarendon Road in the east, surrounded by Pakenham railway line in the south and Eastlink in the west. Dandenong is located in the foothills of Dandenong Ranges on Dandenong Creek, which flows southward. The Creek has a green belt with several parks and reserves including Dandenong Park. Three state high schools - two campuses of Lindell Secondary College and Dandenong High School (Dandenong and Clayland) - and a Catholic High School (St. John's Regional College), as well as many state and two Catholic primary schools, are located within the boundaries of the suburbs.T here is also an Emerson school in Dandenong, which is an expert school for light intellectual people with a catchment area spread over the north of Rowville. Hence, to all the residents of Dandenong, Singh Movers is available for you all to render you with the amazing services and making the tough job to the easiest one. Hire us, forgetting all of the work done by just one call. We are known as the most Affordable Movers And Packers who make the stressful task into the relaxing one. Furniture removal is a boring and monotonous task and it needs to be done with enough planning and precisions and is a big part of the house moving process. Furniture is an essential part of the house that needs utmost care. So, for the careful move and shifting, hire us and be free from all the worries. You have landed on the right page as you will be assisted with all the process of furniture removals through the customer care executive team of the Singh Movers Movers And Packers Melbourne. Our experts and the fit team members are highly experience in the field of Furniture Removals and endow their clients with efficient and quality work. We are known for the finest work in the whole of Melbourne as we have an experience of more than 10 years in this particular field. We work for the happiness of our customers. We guarantee you the 100% satisfaction of the work we render to you. So, the residents of Dandenong, what are you thinking again and again? Why are you so in the dilemma of whom to hire for the Furniture Removals Services? No matter it is just your 4 chairs or one table to be shifted, one dining table or just 6 chairs, we do not work according to the quantity of the material. We shift the less quantity to the large quantity materials. Singh Movers Melbourne is the quality Furniture Removalists Dandenong. Dandenong is a suburb of the city Melbourne in Australia which is around 30 km south-east of Melbourne CBD. Located on Dandenong Creek, it is in the foothills of Dandenong Ranges and is the main administrative centre of the city of Greater Dandenong local government area. Dandenong recorded a population of 29,906 according to the 2016 census. It started in 1852 as a township and at the beginning of the 20th-century, there was an important regional city with its own suburbs. During the mid-20th century, it became a major metropolitan manufacturing and commercial area and convergence of Greater Melbourne. A business district, the former city centre, covers most of the area and is the largest in Greater Melbourne. Singh Movers Melbourne will render you with all of the quality services as the leading Furniture Removals. We shift the less quantity to the large quantity materials. Movers Melbourne is the quality Furniture Removalists Dandenong. Give Us A Single Buzz And Hire Singh Movers Melbourne To Make Your Move The Stree Free!